Windows 7 is full of fun stuff to keep you entertained, from watching TV to viewing your photos. The Media Center offers you the ability to watch live TV, record TV shows, and watch Internet TV, all in one convenient entertainment hub. The Windows Media Center is even designed to connect with your home entertainment center so that you can take advantage of all the sophisticated home theater options. Who needs a separate TV when the Media Center is completely capable of playing your favorite TV shows right on your computer’s lovely flat-panel display? You can watch Internet TV as well as live TV that’s being transmitted by any of the seemingly millions of TV stations. 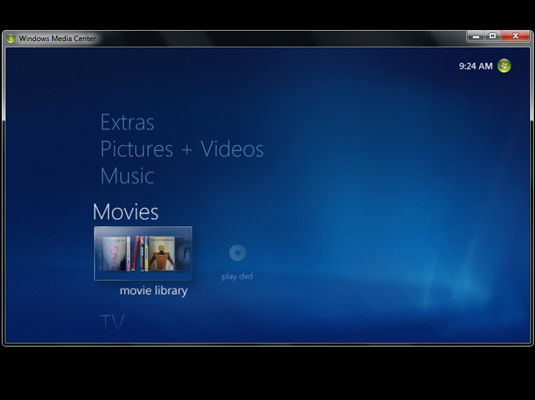 Highlight TV on the Media Center main menu and then click the Live TV option. Alternatively, you can press the Live TV button on the Media Center remote. 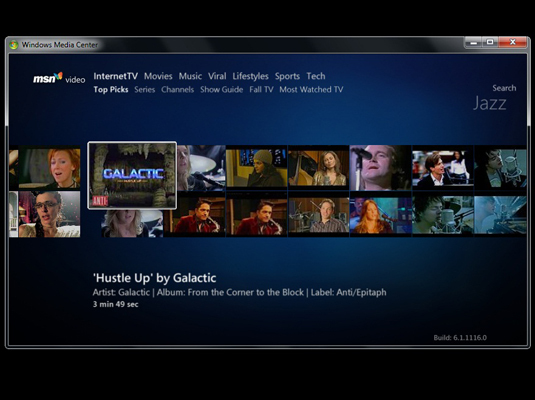 Before you can watch live TV in Windows’s Media Center, your computer has to be equipped with a TV tuner card and hooked up either to your local cable system or to a satellite TV dish. 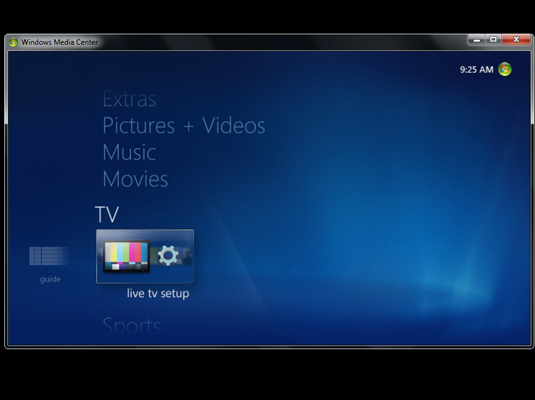 You also have to go through Windows 7 Media Center’s Live TV Setup process. Select the channel you want to watch. You can enter the channel number from the keyboard, by pressing the up and down arrow keys, or by clicking the Ch+ or Ch- buttons on the playback controls displayed in the lower-right corner of the Media Center window when you position the mouse pointer in this area. Click the plus (+) and minus (-) buttons on the playback controls area in the lower-right corner of the Media Center window or on the Media Center remote. The playback controls only appear when you position the mouse pointer in this area. (Optional) To record the show you’re watching, click the Record button on the playback controls displayed in the lower-right corner of the Media Center window.